O-Lynx Event software now supports getting punch information from Internet connected radios as described at http://olresultat.se. The radios were developed by Oskar Berg and Erik Berg who also kindly provide the webserver for people to use. 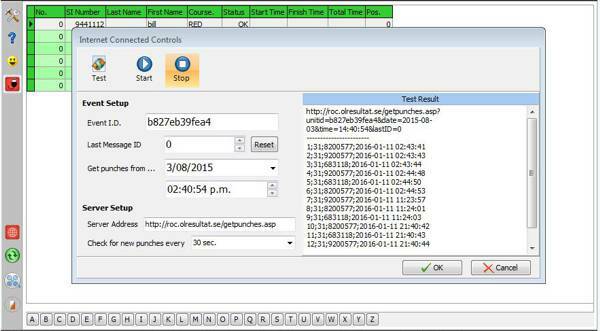 The Radio Online Controls ( ROC’s ) send their punch information to the ROC web server. The O-Lynx event software checks the web server for new punches and processes them just the the same as if they had come from O-Lynx radios or wired controls. The ROC’s provide an option to get punch information over long distances when there is good internet coverage.